I thought can we run a contest here for best Chow photo 2012? I noticed a lot of chow enthusiasts posts cute photos of their babies. Can the Admin initiate a contest and we get to submit One photo entry and then all of us get to vote a few pix like maximum of 5 chows. But should be able to vote once every set. so every week there will be winners until the the best chow in the picture wins? The prize would be a badge designed by the administrator and one that can be attached to signature of the winner to show off. Just a suggestion. Just for fun. Let out the aspiring photographer in us. No matter how pathetic hahaha. Oh! Can we have a puppy category and adult category? Can we accessorize or just their beautiful coat to make it stand out? p.s. if it is not too much of a burden to the admin, i just thought it fun. Not a bad idea, we could do it in brakets style. Let me think about it for a little bit on the best approach to do it. Thanks for the idea. I'm not too fond of the idea of creating winners and, more importantly, losers here! Plus, Chow Photo of the year is a December contest! What I think would be fun: to have motto days (once a month) where we get a theme and have to take photos of our chows/find photos that we already have that incorporate that motto, like for example "Snow choughs" for a winter month. And then we collect the photos and we all look at them and just have fun, with nobody winning or losing! Cam is really on a run with ideas of late. I like it. I see where sarah is headed though. Maybe categorize a bit for particulars...best tongue wag, silliest sit, rattiest toy, best pedicur. 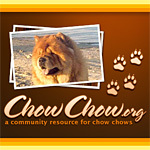 Personally, I don't care for the idea of a Best Chow photo contest on this forum. 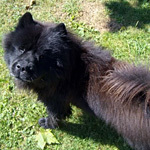 I do think it could be a more appropriate thing for the chowchow.org Facebook Fan Page. It has taken so long for this forum to finally have a decent degree of harmony. Competition on such a subjective manner, moreover, a best of best symbol to display isn't always a positive and *fun* thing on a forum. As for the fun subjects Sarahloo suggested, I'm all for that and it could be started by anyone at anytime. The members respond positively to topics like that in the past where we've had topics with our chows sleeping, our chows butts, in costume, with Santa, looking out a window, etc.... However, please remember to post it on the photo section. We coukd start with an Easter theme! "Chow Bunnies" or something! To the admin: Thanks for considering. We can do a poll if we all like to participate. it could be an exciting thing to look forward to. Sorry if some of you think it is negative. Maybe we just have a generation gap, coz I find picture with motto on a bit of "prim and proper" side - While a contest with no real money involve, just a badge...it can't be a highly competitive endeavor as the photos must be taken by the owner and in normal location such as kitchen park or lawn. not shot by a professional photographer on his studio. . Sure there will be losers but I dont see it in a negative way. 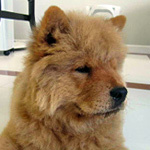 Actually what's in my head is a Westminster online at chowchow.org where the contestants are all registered users. No rigging as everyone has a say on who looks best. . Have martha's Genghis Khan a run for his trophy. Anyway, it is just an idea.